Surrounded in controversy, CRISPR technology allows researchers to edit a T cell’s genetic makeup and bolster its arsenal for fighting HIV and cancer. T cells, in a way, are the white knights patrolling through your bloodstream. And a recent breakthrough may help bolster these biological guards’ powers. 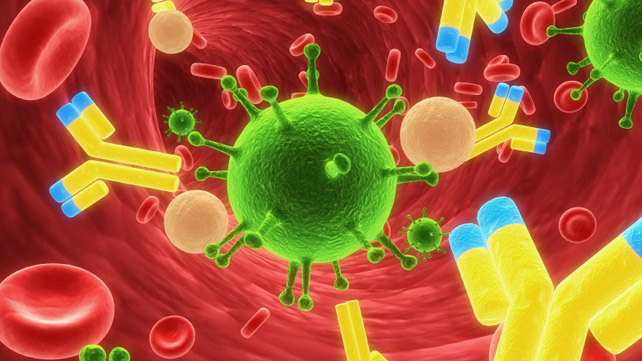 Researchers at the University of California, San Francisco (UCSF) announced Monday that they have been able to edit important parts of T cells, changing how they react to the HIV virus as well as proteins in cancer cells. Until now, the relatively new methods, Clustered Regularly Interspaced Short Palindromic Repeats (CRISPR) and Cas9, remained a practical mystery. Cas9, a programmable enzyme, works as “scissors” by binding to and splitting open parts of a cell’s DNA. This method allows scientists to cut and paste new information into a cell’s genome. To show the potential for how these methods work, Marson’s team focused on easily accessible functions of a T cell’s outer membrane. When functioning properly, T cells can attack abnormalities in the body, such as viruses or bacteria, to keep you healthy. But in autoimmune disorders, such as multiple sclerosis and rheumatoid arthritis, these cells go haywire and attack healthy tissue. Invented at the University of California, Berkeley in 2012, the CRISPR/Cas9 technique gave molecular biologists the ability to cheaply edit DNA for a variety of therapeutic abilities. T cells are a type of white blood cell. Editing their genetic information is like replacing a knight’s sword with a lightsaber. In the latest case, the UCSF lab was able to disable a protein called CXCR4 that can be exploited by HIV. This surface protein can allow the virus to infect healthy T cells and cause AIDS. In another case, researchers were able to shut down the protein PD-1, a hot target in the cancer immunotherapy field. PD-1 works as a brake on T cells, and cancer cells are good at exploiting it. Researchers hope to one day be able to remove T cells from a patient, edit their DNA as needed, and implant them back into the person without the cells affecting the genetic health of a person’s future offspring. “That’s the vision,” Marson said. So far, researchers have been able to use electroporation, which uses electricity to make a cell’s protective membrane more permeable. This allowed researchers to slip in a combination of Cas9 proteins and a single-guided ribonucleic acid (RNA), a molecule vital to the genetic makeup of all living things. Using this technique, researchers successfully edited CXCR4 and PD-1 and then pulled out those edited cells for research. The goal is to eventually use these types of cells for new therapies against HIV and cancer cells. This new research, as well as more on CRISPR/Cas9, is part of a joint effort from researchers at UC Berkeley, UCSF, and Stanford University known as the Innovative Genomics Initiative. While the new discoveries may someday lead to effective therapies, CRISPR and Cas9 are new tools in molecular biology. They’ve garnered excitement as well as raised concerns about how quickly they have been embraced and about how they are being used. Since its discovery in 2012, patent applications and funding regarding CRISPR research has dramatically increased from medical institutions such as the Massachusetts Institutes of Technology (MIT), according to the journal Nature. Its appeal is that it’s an inexpensive — less than $100 in supplies — and relatively easy way to probe an organism’s entire genome. This has many questioning the safety and ethics of its use. In April, Chinese researchers published a paper detailing how they were able to use the CRISPR/Cas9 techniques to modify human embryos. They skirted ethical concerns by using eggs fertilized by two sperm that couldn’t result in a live birth. Marson said he’s excited about the advances but tempers the excitement, knowing the concerns around it. There’s “well-trodden ground” implanting modified T cells into patients, and companies are currently working to ensure its safety, he said.